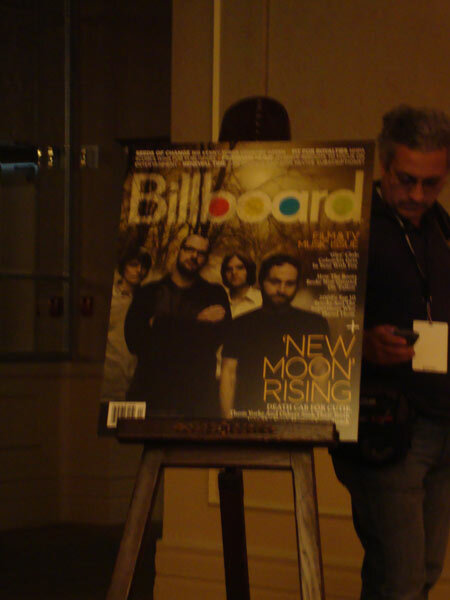 The rest of the Billboard Film and TV Music Conference and my thoughts! Worst picture of Death Cab ever. Billboard Cover fail! Chop Shop/Alexandra began working on New Moon last December and were approached by countless bands and managers who wanted to be on the soundtrack. They picked artists who wanted to be part of the team , provide solely exclusive material and weren’t afraid to talk about the movie. It was all about cohesion and the artists they ended up choosing, in their minds, could all play a festival bill together. Read more about the Soundtrack panel including info on Remember Me AND stuff about Rob and his Music as well as more tid bits from Chris Weitz and Alexandre Desplat’s panel after the cut!